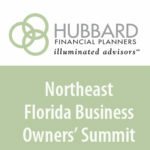 Executive Summits & Workshops hosted by Hubbard Planning Group, Inc. In this short video, learn about just one of the important topics addressed during the program. Is your business putting you and your family’s future at risk? How can that happen? The answer comes from often ignored or potentially unknown mistakes that we never planned to make. Once made, any of these six mistakes are of a nature that cannot be retracted or easily, inexpensively, mitigated. These unique educational events are designed to help you in assess what these risks mean to you personally and your business, as well as explore proactive solutions. For the business you’ve spent a lifetime building and the family you built it for, attend an upcoming program to gain a better understanding of these challenges (and opportunities). It will be a valuable investment. 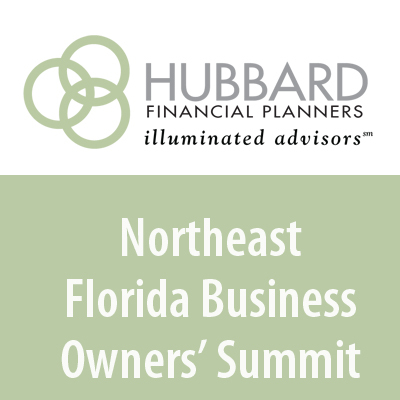 Hear from presenters experienced in business taxation and valuation; legal, estate, and succession issues; our local economic picture; and advanced planning opportunities for business owners. Engage in the interactive and video-based BusinessKillers® self-assessment. Discover if you’re making the same mistakes and what you can do to gain more control. Dimas R. Nunez, JD, Senior Advanced Markets Field Director, Ameritas Life Insurance Corp.
© 2018 Hubbard Planning Group, Inc.